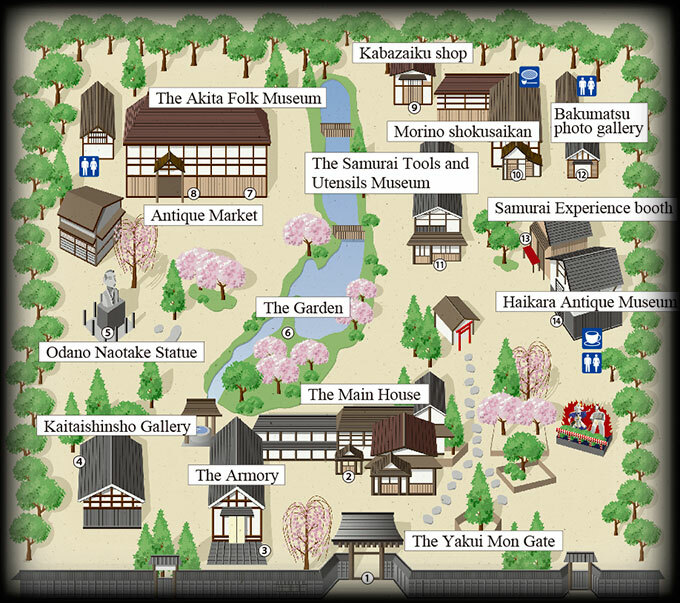 The estate features the Main House, Armory, Kaitaishinsho Gallery, Akita Folk Museum, Samurai Tool Museum, Bakumatsu Gallery, Samurai Experience Booth,　Antique Gallery Tea Room and gift shops. You can also enjoy holding authentic samurai swords, the demonstration of traditional art works, and the antique market inside. You can experience holding authentic samurai swords. You can wear the helmet and enjoy photo taking. You can lift the carriage used during the Edo period. *Inside the roofed gallery only if rained. *No XL, XS size prepared. *Time reserved has to be 1 hour before we close. Founded on the rich traditions of the Aoyagi family, the Manor got a new facade in 1989 as a complex of open-air museums. 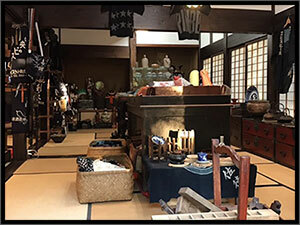 On display in the buildings are quaint items from the 17th through 20th centuries: samurai swords, utensils, clothing, toys, hanging scrolls, pictures, and documents. Some of them have earned the designation as important cultural properties from the national, prefectural or municipal government. More treasures of historic value would join in the exhibition from the sealed family storehouse where experts have been evaluating the contents. 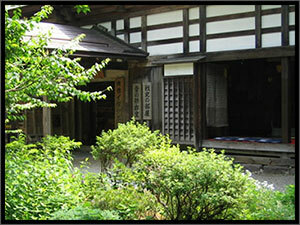 Unlike other museums with facilities specially designed for exhibitions and their collections comprising only items gathered somewhere else, the buildings and their displays have their roots in this Manor — the members of the Aoyagi family built or collected them for their actual daily use. For example, the Main House had been home to the descendants until as late as 1985. 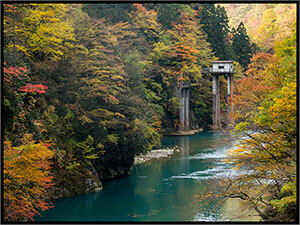 The Aoyagi lineage goes as far back as to the 16th century. The family founder Aoyagi Touemon first became a vassal of Lord Ashina of Hitach (about 350 kilomters southwest of Kakunodate) in 1570. The Family moved to Kakunodate following Lord Ashina when the shogun overlord transferred the master to the Akita domain in 1603. The Ashina reign only lasted for three generations, and the Aoyagi clan came to serve the second master, Lord Satake-Kita, in 1653. The new lord appointed Aoyagi to the important role of Nanbu Sakaime Yamayaku, or shief of Nanbu-area boundary guards. In the next two centuries, the Family enjoyed a steady growth, both in income and political importance. Their men climbed up the social ladder and by 1868, when the Edo feudalism collapsed, Aoyagi's fief gad expanded to become the third largest among those managed by the vassals in the domain. Although many samurai experienced economic distress under the rule of the new Meiji government, Aoyagi was able to survive as a landlord. 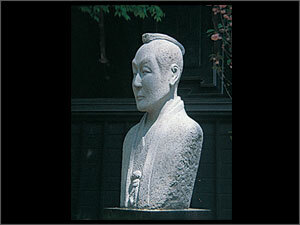 In 1902, Aoyagi Tomokichi became the mayor of Kakunodate. The main gate to the Manor, Yakui Mon sports a roof with magnificent decorations, overwhelming other samurai manor gates in town. 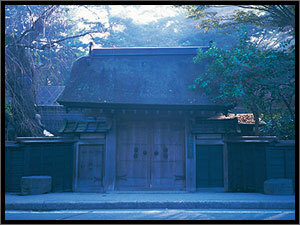 In feudal Japan, gates symbolized　the social prestige of their owners. The Family built the gate in 1860 after the feudal lord of Kakunodate gave special permission as a reward for their contribution to the domain. 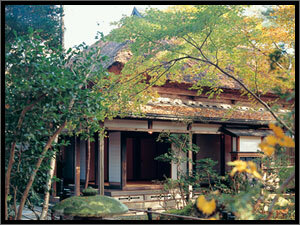 The Main House with a thatched roof is one of the best preserved samurai residences in the nation. The L-shaped structure has three entrances leading to separate areas, whose use was under tight regulation according to one's social class. The ornamented front door and the vestibule lead to the guest room. The area was only for visitors of very high status, and therefore was rarely in use. Wooden verandas border the guest room, allowing the visitors to enjoy the view of the garden. The middle door leads to the area for family members and close friends. 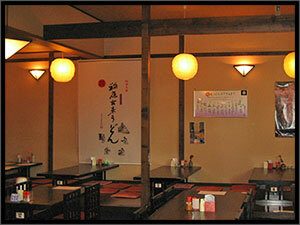 To the right is the room of the head of the family, and to the left is the dining room. The door has grills on either side, allowing the servants to inspect the visitors from the inside. The side door leads to the kitchen and was for the servants. A collection of swords, armors, helmets, guns and wor flags from the 15th through 19th centuries occupies the first floor. Items worth special attention include a triple-barrelled matchlock gun, a double-breasted black-lacquered armor and a folding armor. Also on display are flower-dyed silk kimonos donned by samurai brides at weddings. 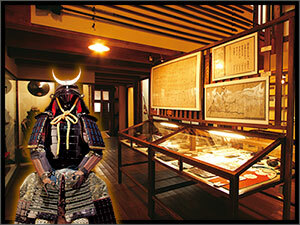 The second floor has displays depicting the samurai lifestyle in the Edo period. The collection features clothes, toys and books as well as wooden dolls crafted by Takemura Bunkai, a renowned artist born in Kakunodate. Menuki and tsuba - parts of Japanese swords often carrying beautiful ornaments - are also among the collection. Copper ingots on display were cast from ores mined in the domain under the guidance of celebrated inventor Hiraga Gennai. "Kaitai Shinsho," is the first translation of a Dutch anatomy book published in Edo with five volume composition in 1774. It was translated by Sugita Genpaku, who is historically very famous in Japan. The one who illustrated “Kaitai Shinnsho “utilizing western techniques was Odano Naotake , a Kakunodate-born samurai and a remote relative of the Aoyagi clan. Exhibits focus on his great works adopted the western shading method that resulted in the creation of Akita Ranga, a Dutch-style school of painting which left a great impact on the world of Western art. This compact botanical garden always greets visitors with flowers of the season. Hundreds of rare plants, including Aoyagi Yae Beni Shidare Zakura (Aoyagi eight-petalled red weeping cherry)—a species found only in this garden — flourish with the tender care of experienced gardeners. The pond and the Shinmel-sui well feed on five metric tons per hour of clear water flowing from aquifers under the near by Gendaiji-yama hit. Odano Naotake (1749-80) was a Kakunodate-born samurai and a remote relative of the Aoyagi clan. He rose to fame for his illustrations of the human body in "Kaitai Shinsho," the first translation of a Dutch book on anatomy published in Japan in 1774. Odano created the anatomical illustrations utilizing western techniques he learned from Hiraga Gennai. 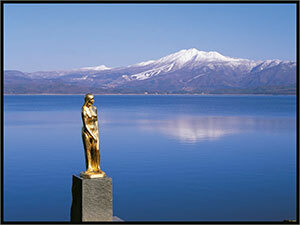 They first met in 1773 when Hiraga was visiting a local copper mine upon request from the lord. The inventor taught Odano how to draw in perspective and apply shading, techniques not used in the Japanese drawing methods of those days. With the publication of Kaitai Shinsho, Odano succeeded to win the respect of many art-loving feudal lords, who called upon him for lessons. He later invented Akita Ranga, or the Akita Dutch-drawing method. A typical farmer residence from the Edo period, this building used to be in a village In Akita Prefecture that has since sunk under a dam. Its sturdy structure incorporates more than 10 kinds of timber so that it can hold a heavy amount of snowfall in the region. The first floor is the living museum. 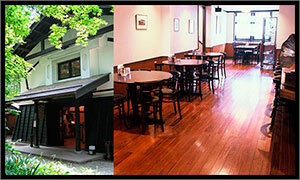 Hands-on exhibits, demonstrations of cherry-bark handy crafts and ltaya woodwork welcome visitors. Specialties of the town are also for sale. A section of the second floor focuses on war history. The exhibits include documents, mementos, uniforms and other items from the Sino-Japanese War (1894-95) through the Pacific War (1941-45). Also on the second floor Is the sound Library, a collection of rare antique records and a phonograph. 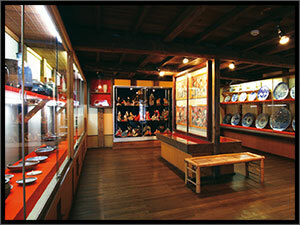 This building exhibits samurai household items and toys from the Edo period. 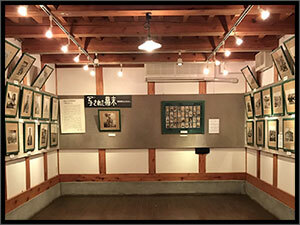 One of its primary attractions is a collection of Oshi-e — three dimensional "pictures" made of cardboard patterns wrapped in silk and stuffed with cotton. 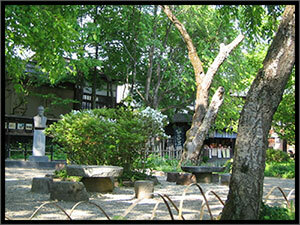 Their creators were samurai wives and children, who sold the handicrafts as a means of secondary income. 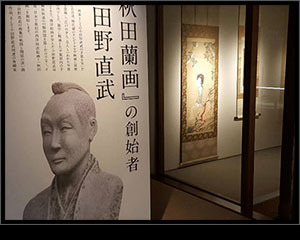 On display are reproduced Photos of the final years of the Edo period, which the Tokugawa Shogunate ended. You can see the life style of the then people. 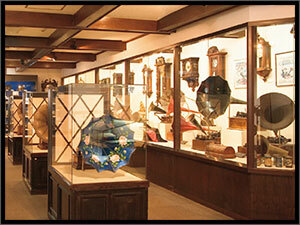 This museum maintains what experts say one of the best collections of western antiques in Japan. Among the items on display are record players such as the original Victor Gramophone and Edison phonograph; cameras Including Leica and Comtaflex units: clocks, music boxes, and a 1917 Indian motorcycle. The tea room with antique interiors on the first floor is for visitors to relax and chat. 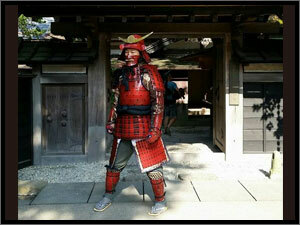 Naotake Odano, as well as Akita City born, samurai tycoon, Yoshiatsu Satake (Shozan). These samurai warriors,　who were very fond of fine art, adopted the western shading method that resulted in the creation of Akita Ranga, a Dutch-style school of painting which left a great impact on the world of Western art. Naotake’s pioneering spirit towards art as well as Shozan’s love for foreign cultures has been incorporated in to the interior and shop items and Tea room menu. It used to be a food for a few select people, and now it’s healthy and delicate taste are loved by many people. Find Vintage Potteries, Clothing, Old tools, Armors, Dolls , Accessories and more at this shop. The kabazaiku cherry bark handicraft is a specialty of Kakunodate. Because of yamazakura cherry bark’s strength and beauty the people of Kakunodate developed the art of wraping cherry bark around tool and objects to protect and preserve them for the future. The technique invented by samurai over 2 centuries ago won the designation as traditional art work from the national government in 1976. 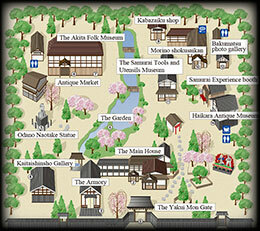 One of Akita designed traditional art crafts using maple ,which is made in Kakunodate. Their lightness, strength and color will gradually change to beautiful amber over time. Akita Airport Liner shuttle service available (reservation required, 2,600yen per person), approximately 60 minutes. Disembark at Kakunodate Aoyagike. Akita inu dog Bukemaru in the famous Bukeyashiki samurai town of Kakunodate in Akita. Welcoming visitors at Satoku Garden shop.